Do not be intimidated by cooking scallops at home. 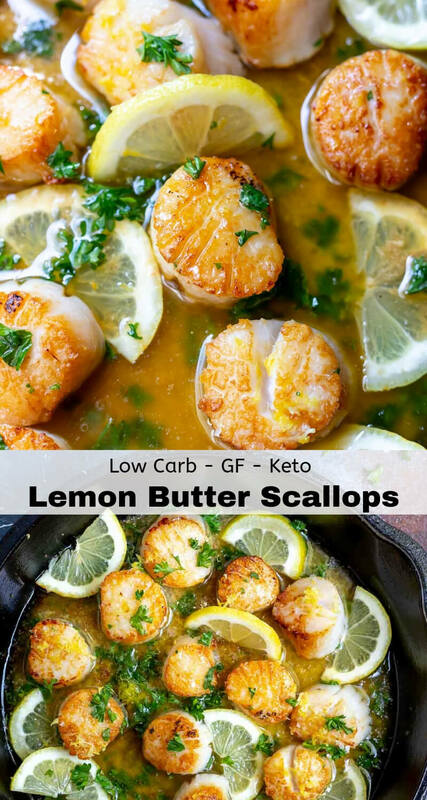 This Lemon Butter Pan Seared Scallops Recipe is perfect for beginners. Butter, lemon and parsley bring fresh flavors to this decadent dinner while keeping it simple. These Seared Scallops are very easy to prepare and make quite the impact. 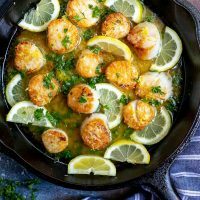 If you are in need of an elegant meal that is also low effort, these Lemon Butter Scallops are it! 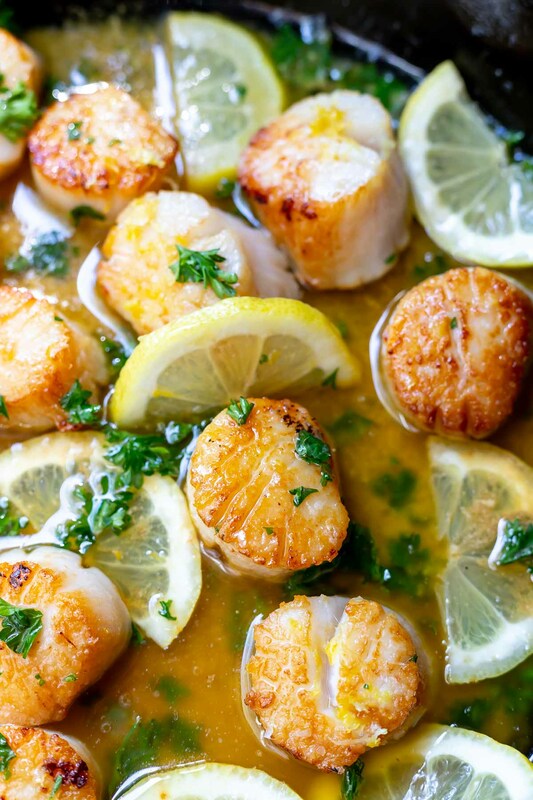 Lemon, butter and fresh parsley compliment most seafood, especially scallops. This recipe is great for beginners because the ingredients are so minimal. I only have access to frozen scallops and have found them to be quite tasty. I’m sure fresh outta the water is best, buuuut, we don’t all have that option. First you are going to want to thaw your frozen scallops. Overnight, in the refrigerator. Do not try to fast-track this step. If the scallops have the mini muscle on the sides, go ahead and remove those. Don’t worry, you will be able to see these little pieces of flesh on the sides of the scallops. Just use your finger to pinch it and pull it off the scallop then discard. Next place the scallops on layers of paper towels then cover with paper towels. Leave them for 10-15 minutes to dry out. Then you are ready to get cooking. If you get a good sear on each side they will usually be done. You can press on the tops with your finger and feel the firmness when done as well. Or, just to be sure you can always slice into one to ensure the middle is not shiny and raw. Yes, scallops are a high in protein and low in calories. 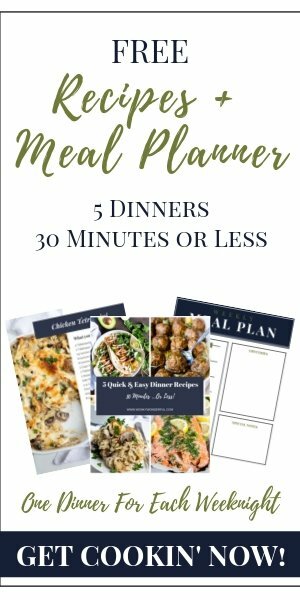 Prepared this way they also fit into a low carb – Keto diet. If frozen, thaw scallops overnight in the refrigerator. If the scallops have the mini muscle on the sides, go ahead and remove those. Don’t worry, you will be able to see these little pieces of flesh on the sides of the scallops. Just use your fingers to pinch it and pull it off the scallop then discard. Next place the scallops on layers of paper towels then cover with paper towels. Leave them for 10-15 minutes to dry out. Salt scallops. Heat oil in cast iron pan over high heat 3-4 minutes. Place scallops flat side down in pan and cook 1½-2 minutes to sear. Flip scallops and cook approximately 30-60 seconds. Remove pan from heat then add butter. Once butter has melted, tilt he pan slightly and use a large spoon to spoon the butter over the scallops. Repeat. 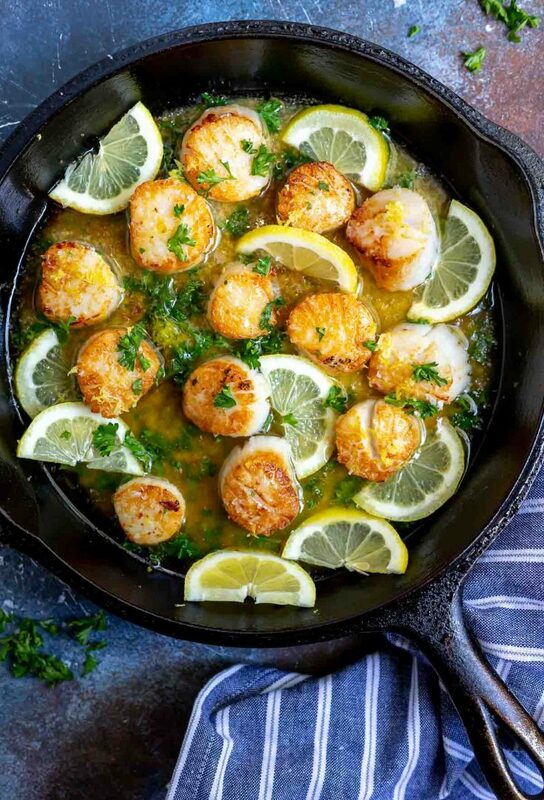 Squeeze lemon juice over scallops. 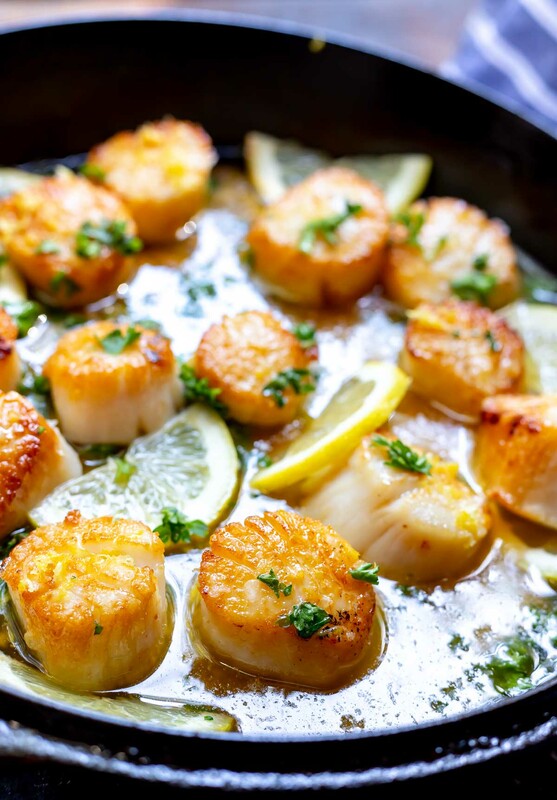 Serve scallops topped with fresh parsley, lemon zest and flaked sea salt. Spoon butter mixture over the tops. Pasta, rice, bread and vegetables all go nicely with seared scallops. Here are a few side dish recipes to get you started: Oven Roasted Asparagus, Roasted Cauliflower, Cheesy Garlic Brussels Sprouts Bake, Lemon Garlic Kale Salad or Lemon Garlic Pasta. If the scallops have the mini muscle on the sides, go ahead and remove those. You will see little pieces of flesh on the sides of the scallops. Just use your fingers to pinch it and pull it off the scallop then discard.